Whether it feels like it or not, spring has officially sprung. Put the mulled wine and spiked cider down and pick up one of these six springy drinks. This fizzy herbal cocktail would be a great aperitif before a dinner of spring lamb. While guava isn’t the first thing to come to mind when you think about spring produce, its season starts now. The fruit’s sweet, tropical nectar is perfect with funky, grassy rhum agricole. 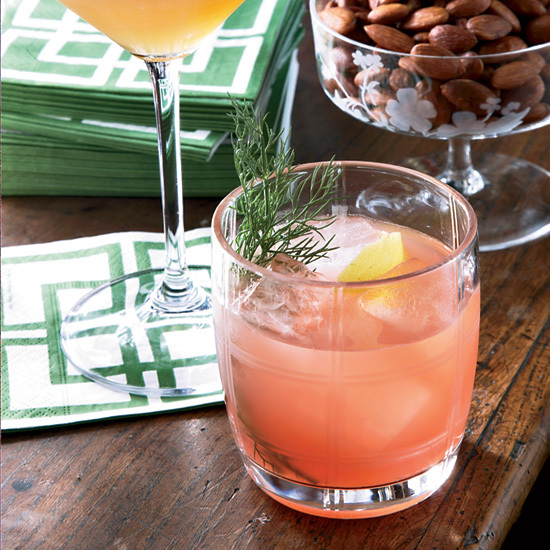 Pleasantly bitter, fennel-infused Campari is a bracing aperitif, especially blended with a little sparkling wine. This cocktail is reminiscent of strawberry-rhubarb pie. The rhubarb syrup is made with roasted rhubarb to accentuate the stalks’ subtle, earthy bitterness. This sweet-tart strawberry cocktail gets a deliciously bitter tang from apple drinking vinegar and a few dashes of rhubarb bitters. Thyme and mint, two herbs that thrive in almost any garden, are fantastically aromatic in this refreshing vodka cocktail.